BagcraftPapercon offers the broadest range of specialty bag, sheet and roll converting capabilities in the flexible foodservice packaging industry. We manufacture high-quality custom packages on 125 different production lines to provide a wide variety of custom package and print designs. With our efficient, superior F&K presses, we can deliver state-of-the-art graphics capabilities that help differentiate your products on the shelf and on the go. We realize there are many details to provide when requesting a custom design. 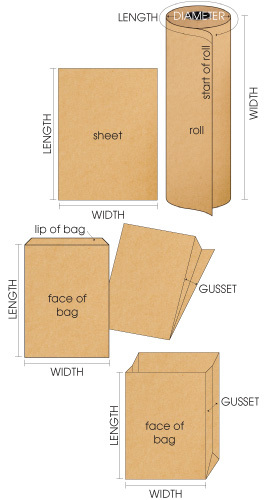 BagcraftPapercon provides free consultation on how to design and build the best solution for your packaging applications. You can click on the “Find a local representative” button at the bottom right of the page to start the process today. To better serve your needs, please review the product information requirements below and provide as much information as you can before requesting a quote for a custom product. Need a film window for visibility of your product? We can provide a graphic art template of your custom bag, sheet or roll once we have provided you a custom quote and reviewed the project with our production team. If you have a specific question about our custom converting, graphic capabilities or film window placement, please contact your local representative or call us at 800-621-8468, ext. 8012.